The Academy Award-winner has recently been cast in the role previously played by Gary Oldman. With Superman vs. Batman: Dawn of Justice set to dominate theaters in just a couple weeks (if the tracking numbers are to be believed), DC has already gotten the ball rolling on the next chapter in the saga -- or should I say, chapters -- with the Justice League movies. Directed by seemingly the only man that DC trusts, Zack Snyder, the first Justice League movie is set to begin filming in April, and will see "Batman (Ben Affleck), Superman (Henry Cavill), Wonder Woman (Gal Gadot), Aquaman (Jason Momoa), the Flash (Ezra Miller) and Cyborg (Ray Fisher) teaming up to combat a threat beyond each member's capabilities." If that lineup of talent wasn't already enough to get even the most casual comic book fan interested, The Hollywood Reporter is...uh...reporting that yet another prominent name has been added to the cast. "The Justice League has found its Commissioner Gordon," writes the Reporter. 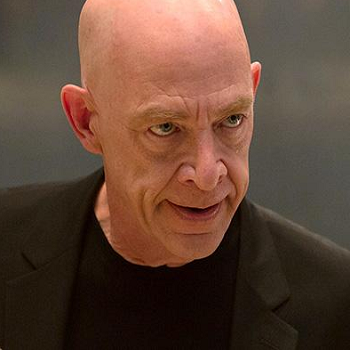 "Oscar winner J.K. Simmons has been cast as the Gotham City police commissioner." Talk about pitch-perfect casting. Simmons is perhaps best known to Marvel fans as the hard-nosed publisher J. Jonah Jameson from Sam Raimi's Spider-Man films, a role so well received that fans launched a massive petition aiming to bring him back in the subsequent Amazing Spider-Man reboots. While it never came to fruition, obviously, Simmons did say that "Being in those movies with Sam (Raimi) was one of the great joys of my career. It was a super fun character so I'll never close the door on anything." Regardless, we can likely expect Simmons to bring the same level of tenacity to the role of Commissioner Gordon, if his Oscar-winning turn as an abusive music instructor in Whiplash is any indication. Though for Batman's sake, I hope he drops the habit of flying out on Gordon mid-conversation, because Simmons will have none of that sh*t.
Justice League is currently set for a Nov. 17, 2017 release, while Part Two is scheduled to drop on June 14, 2019.